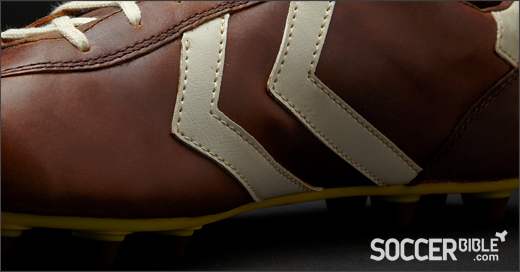 No it's not another edition of the SoccerBible Boot Vault! This is a brand new 2012 Hummel boot, designed to perform to the rigours of the modern game whilst probably being the most talked about boots in the changing room! 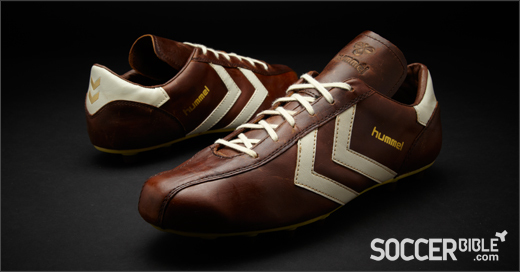 The new Hummel Roma Vintage football boots are quite unbelievable, and they need a few glances just to register that they are a modern football boot. 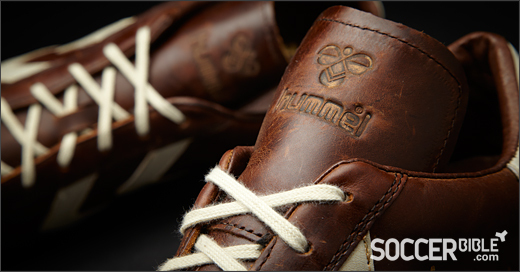 We can't imagine it's a project Nike, adidas or Puma would undertake, but then that's perhaps when you think of Hummel it conjures up such strong memories from the past, that perhaps this Hummel Vintage boot is the ideal new release. Football, style, fashion and culture all bear a relation to one another in the modern era, and some of the large brands dedicate a large budget to developing their lifestyle ranges. 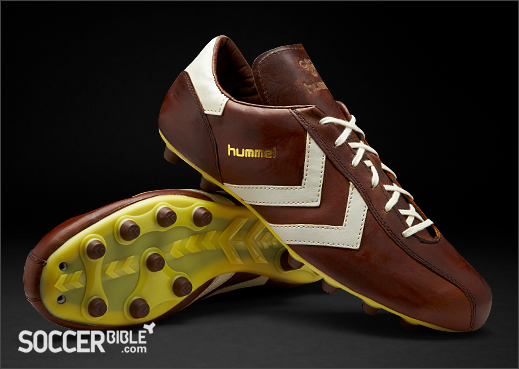 Hummel it seems have captured the sense of football and culture with these Hummel Vintage football boots, which make a definite statement on-pitch whilst being reflected in their off-pitch collections. 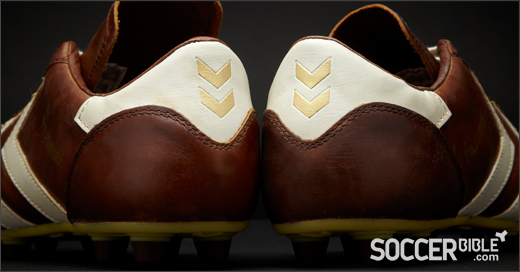 If player performance is based primarily on a player's ability and not his footwear, accepting that the footwear does aid performance, then ultimately it's down to a players personal choice the football boots worn. 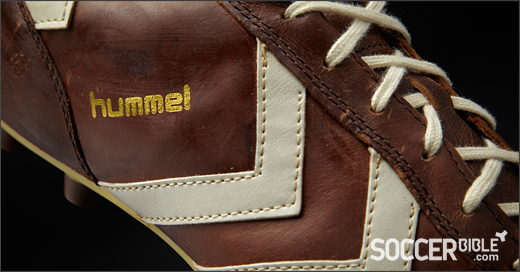 So if your style is the kind of retro 'jumpers for goalposts' look, then you might have been waiting a long time for a boot like the Hummel Roma Vintage to arrive on the seen! 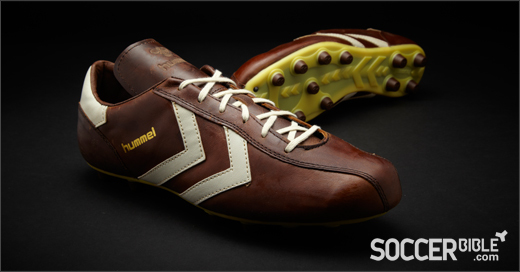 Okay so they might look like they're from 1912, but Hummel has engineered the Roma Vintage to perform in 2012. 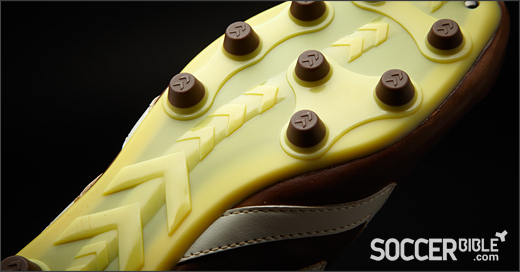 The upper is a soft full grain leather for ball touch and feel, as well as providing comfort. The insole has a soft leather lining around the boot collar with anatomically molded cushioning and an EVA sockliner internally to provide cushioning and fit. 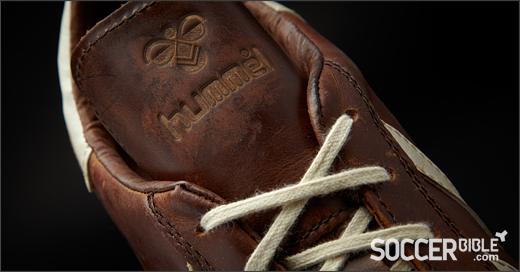 It's not all 'old school' design though, as there's some technology to talk about with Hummel incorporating "Durable Flexsol technology" to the midsole, and a 3d injection molded internal heel counter to provide stability, whilst combining with a classic lightweight molded conical stud configuration. The new, yes we say it again brand new(!) 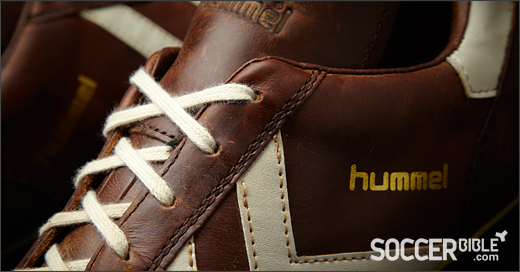 Hummel Roma Vintage football boots in this very striking Dark Cognac colour are available to order now at a price of around £90 GBP / €150 EURO / $100 USD. 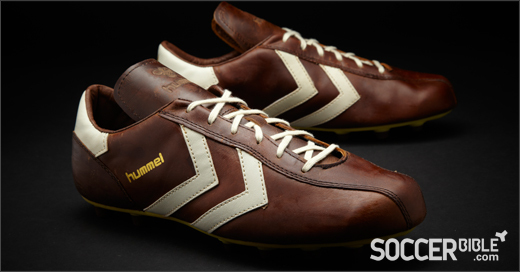 We're expecting the Hummel Roma Vintage football boots to receive quite a reaction due to their unique style, so let us know what you think and share your opinions with the SoccerBible community online, on Twitter and on Facebook.